Mix and Chic: Livening up spaces using bold and bright, multicolor striped curtains. 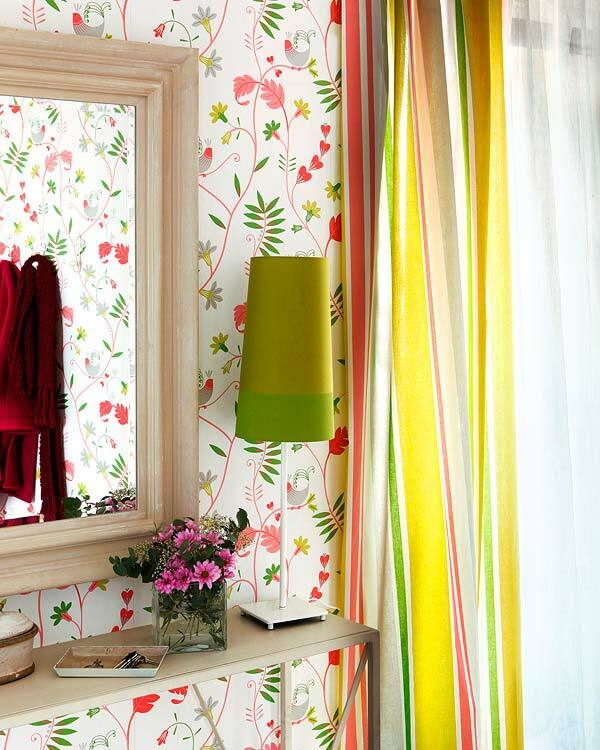 Livening up spaces using bold and bright, multicolor striped curtains. Injecting a dose of bright and cheery colorful striped curtains easily transforms a space from being ordinary to lively. 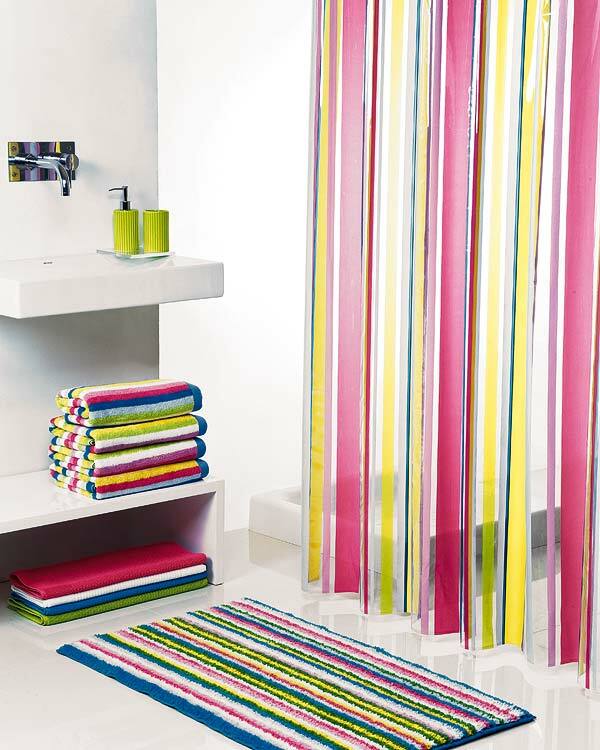 Bringing in colorful striped shower curtain and accents transforms a modern bathroom from being too utilitarian to bright and energetic.